Guy Séné’s roots are in France but his leadership is global. 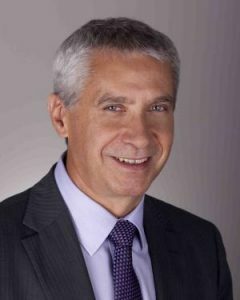 As President of Agilent’s Electronic Measurement Group (EMG), Séné oversees the company’s electronic measurement, semiconductor and board test business segments. Séné has been with Agilent since 1976, holding a variety leadership positions in sales, marketing and division management throughout the world, including Europe and Asia. To help foster a spirit of innovation and contribution, Séné encourages Agilent employees to assist in improving education in Sonoma County and beyond. Agilent’s signature hands-on science program, Agilent After School, has been operational for the past 11 years, serving more than 2,500 students with staffing by Agilent volunteers. Additionally, Agilent employees volunteer in local education programs such as the United Way’s Schools of Hope, the Santa Rosa Chamber of Commerce’s Mike Hauser Algebra Academy, and the North Bay Science Festival, among others. Under Séné’s leadership, Agilent also supports education by hosting an annual Introduce a Girl to Engineering Day event at the company’s Santa Rosa facility, providing scholarships to Sonoma State University (SSU) and Santa Rosa Junior College (SRJC) engineering students as well as assigning Agilent mentors to the scholarship recipients, donating equipment to SSU’s engineering program, and offering job shadowing opportunities to students from SRJC, SSU and local high schools. Séné understands that leading in today’s global economy requires more than in the past, and he leads by example, putting all he has into his work while remembering that the talent and human capital of Agilent is what will carry the company forward for years to come. And Séné knows that by investing in education today, we will have the talent needed to innovate in the future.